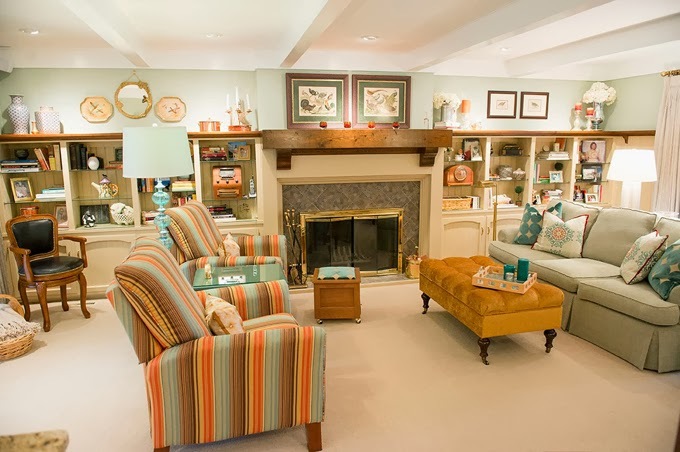 I love seeing major transformations and this family room by Cathy Wall Designs takes the cake! 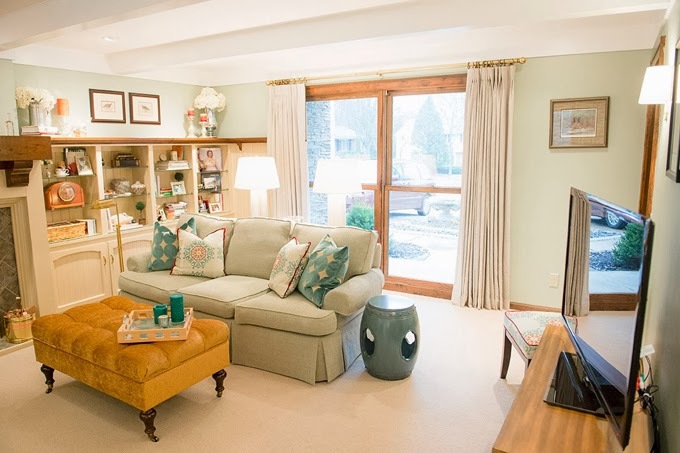 The Madison, Wisconsin designer turned a dark and dated family room into a fresh and bright space that is inviting, warm and oh so cozy! 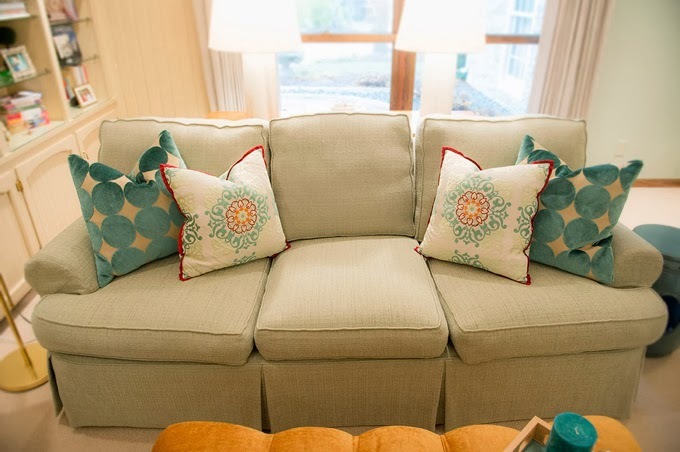 I’m absolutely loving the color palette and fun fabrics she chose! The homeowners actually did a lot of the reno work themselves, including the removal of wood paneling. 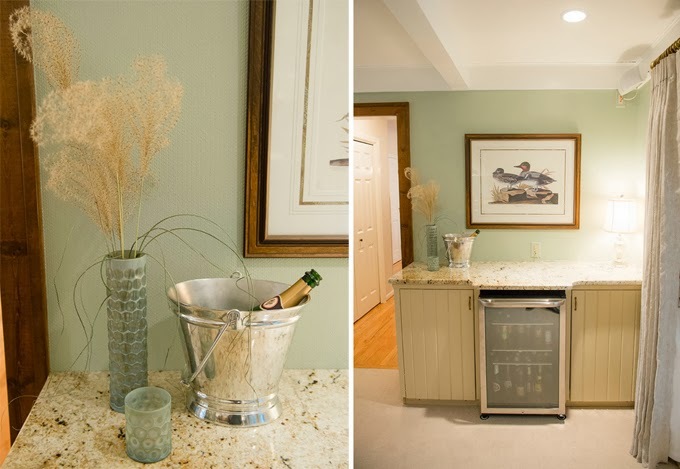 Since the walls were in rough shape after removing it, textured, paintable wallpaper was installed and painted Sherwin Williams “Contented”. So pretty! 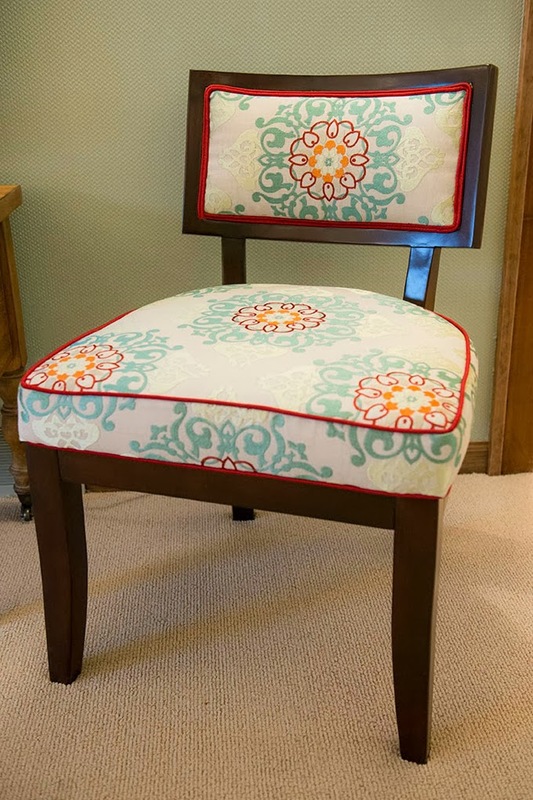 Don’t hesitate one second….hop on over to Cathy’s blog Room Rx to read all about the space and see more photos by Reverie Photography as well as the dramatic ‘before’ shots! So fun to see my talented friend Cathy's work featured today!! 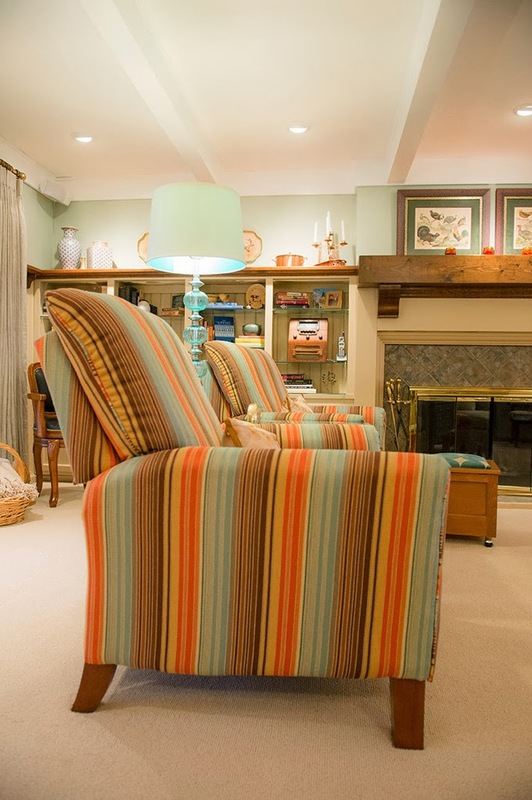 She has a great eye for mixing pattern and does such a great job working with her client's existing pieces! Thanks so much for the wonderful feature Erin! 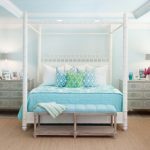 I love seeing this space come to life here on House of Turqouise. And Pam…. you are the best blog friend! 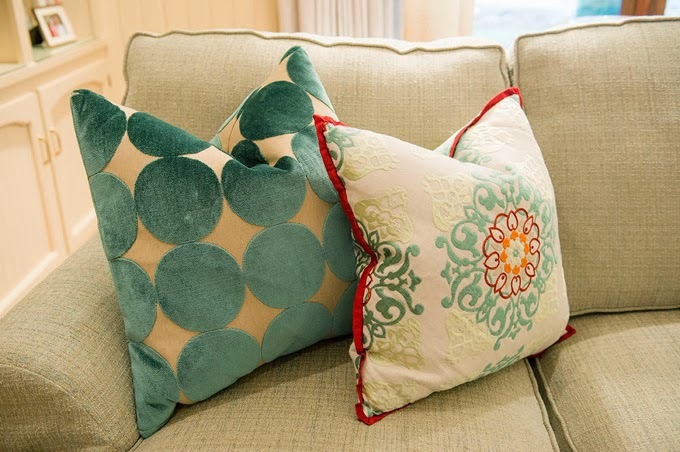 Great mix of traditional and turquoise! Love it!! 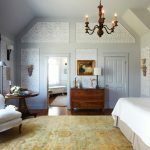 This is a great example of how traditional design can be fresh and now – doesn't have to be snoring boring. 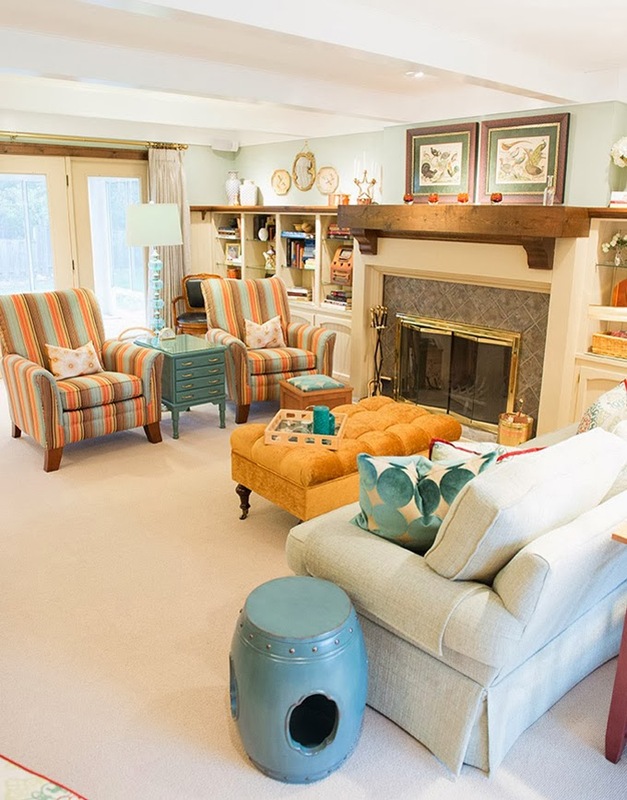 A fresh color palette and fun fabrics turn this room into an updated classic. 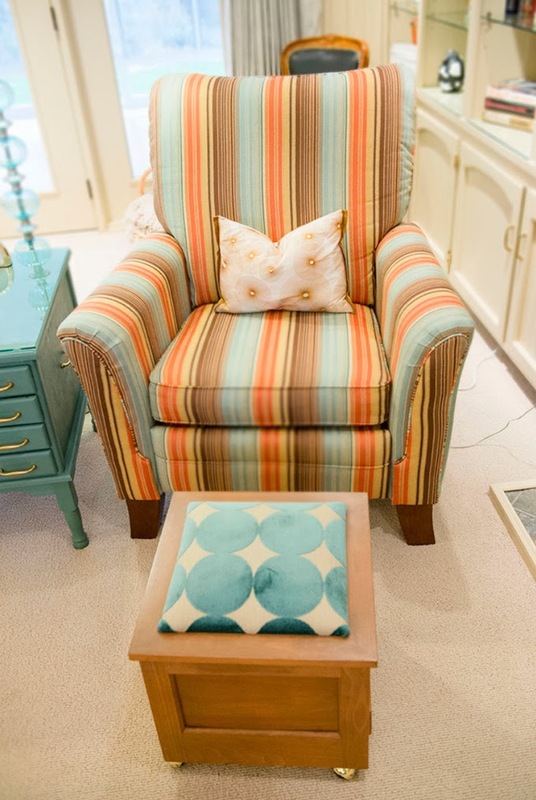 And I love the detail of the piping on the accent chair. I have been in this room while visiting Cathy in Wisconsin. 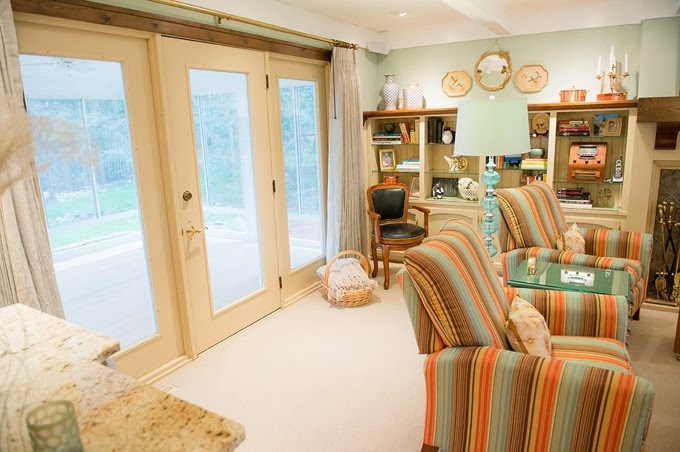 It is a treat to look around and take in the unusual mix of colors and the charming finishing touches. But these pictures take this space to a whole different level. 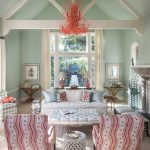 Between the spot-on styling, the expert photography and your fresh House of Turquoise colors in the sidebar and the logo, well, this is a delightful little post. Well done, all. Congrats to Cathy! Well done friend! I love Cathy's work. Such a beautiful space. What a happy place! 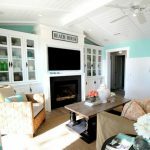 I am loving the paint color too! I have been in this room while visiting Cathy in Wisconsin. 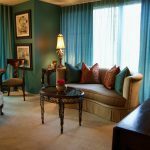 It is a treat to look around and take in the unusual mix of colors and the charming finishing touches.